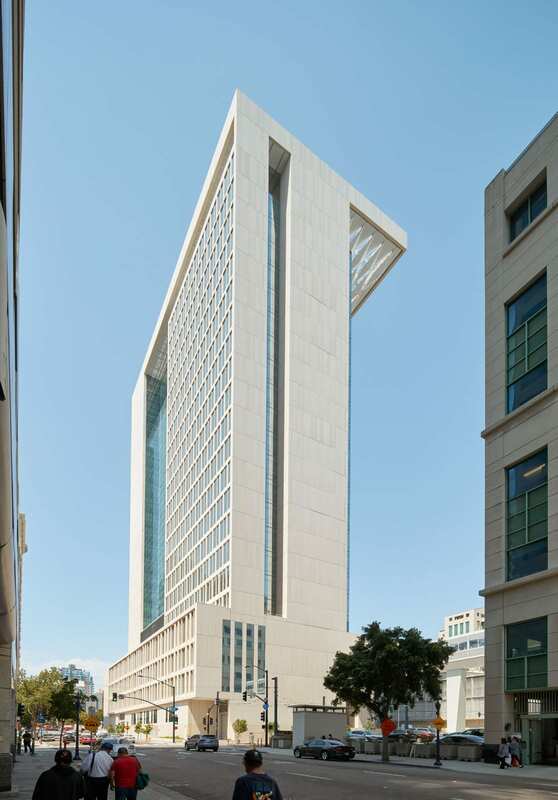 A 22-story tower in the San Diego’s downtown district consolidated San Diego County’s criminal, trial, family and civil courts. The building is clad with 264,363 square feet of limestone-faced, precast concrete on the tower and podium. Pre-glazed window panels and full wrap column covers were also used.